Packed with revelations, this is the first complete account of a career built on raw talent, sheer willpower--and criminal connections. 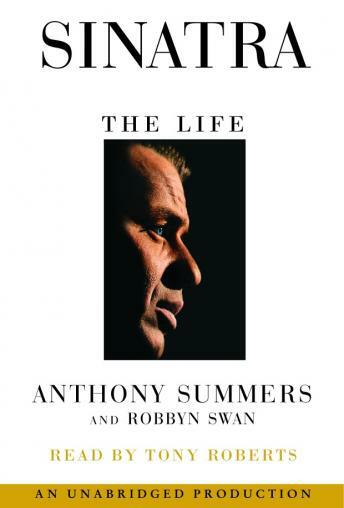 Anthony Summers--bestselling author of Goddess: The Secret Lives of Marilyn Monroe--and Robbyn Swan unveil stunning new information about Sinatra’s links to the Mafia, his crowded love life and his tangled relationships with U.S. presidents. Exclusive breakthroughs include the discovery of how the Mafia connection began--in a remote Sicilian village--and moving interviews with his lovers. Never-before-published conversations with Ava Gardner get to the core of the tragic passion that dominated his life, came close to destroying him, and made his best work heartbreakingly personal. Sinatra delivers the full life story of a complex, flawed genius.